The above quote is appropriate for a number of places I have always wanted to visit that include places like Golden Temple and Charminar. Last year in September I went to Jaipur for a day or better say a couple of hours. 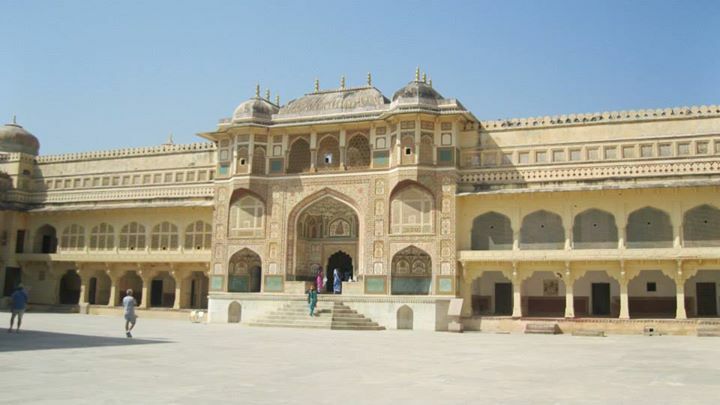 I have always heard about Amer or Amber fort in Jaipur in a few movies with Rajasthani Backdrop, so somehow I knew about this place even though I had never been there. So I wanted to visit this place without any idea of how I am supposed to reach there. I kept asking around only to hide from one autowala or another. In any case I would not have paid 300 bucks no matter what. In a city where you don’t know anyone it is kind of tough to find out the actual directions. There is always a cheaper way to reach your destination, even if it takes changing multiple buses/auto rikshaws and a little bit of walking. Finally I realized my mistake, I was looking for autos near railway station and the reason why they were asking for more fare. The trick worked and a few good men outside explained me how am I supposed to reach there. 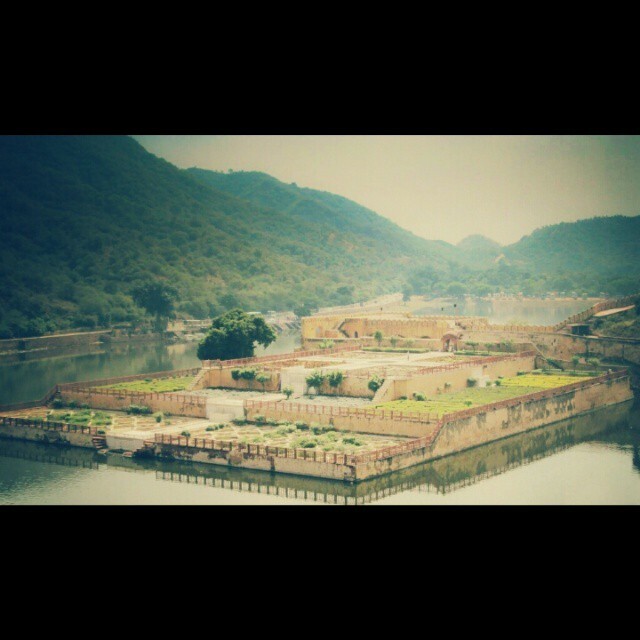 In an hour I was at Amer Fort, the place is absolutely breathtaking! Raja Man Singh I built the fort around the 16th century on a high hill that overlooks the Maota Lake. With every turn, every new courtyard and every hallway I almost broke into tears because we were so overwhelmed by the beauty (reminds me that for a guy I cry a lot). There were Elephant rides outside the fort premises and I am not sure how the tourism department thinks that it is a good idea. I hope those animals are kept in good condition and are not subjected to cruelty as I have seen at a few places. I spent all day in fort premises, wandering around, listening to the guides and other tourists talking about the place and collected a couple of stories for myself. Even though I didn’t want to I had to leave the place only with a promise that I’ll be coming back soon. Around 5 I returned to the mail city and gave myself a heartfelt diet of butter chicken and roti. Lovely food that I opted over laal mans that is too spicy for me to handle because I had an onward journey to Delhi later that night. 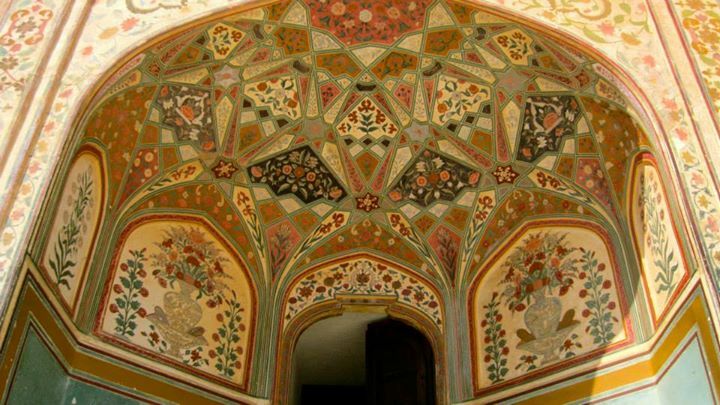 Jaipur is an amazing place to be, I can’t wait to explore more of this place as soon as possible but I can just wait. Nice crisp write-up. I totally love Rajasthan! Although the laal maans at Amber Fort is super-delicious, eat that next time.